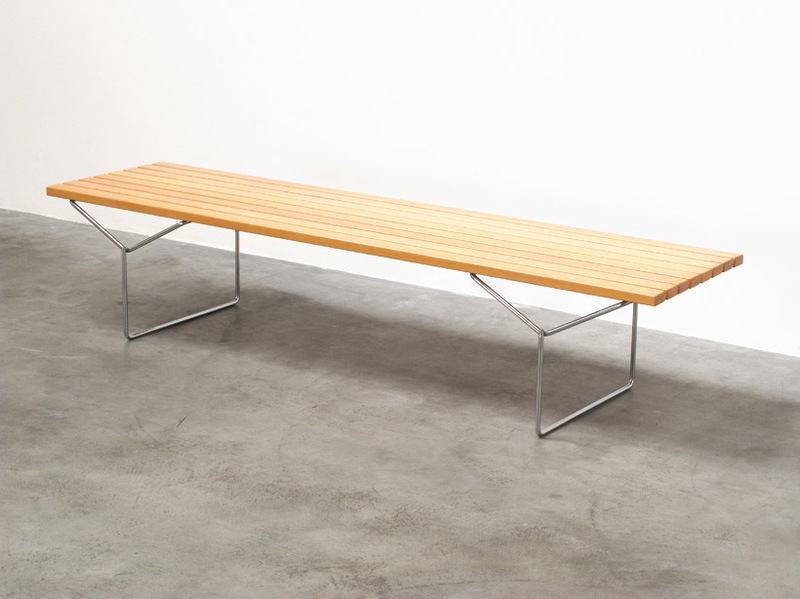 Slat Bench designed by Harry Bertoia or called Bertoia Bench for Knoll International. Solid wood slats on a welded chrome frame. Banc conçu par Harry Bertoia pour Knoll International. Lattes en bois massif sur un cadre en chrome soude.